Gap Analysis – An audit of your existing QMS against the new IATF 16949:2016 requirements to detail the “gaps” that need to be filled to ensure compliance. On-Site Training – For your implementation team, senior management, and internal auditors. On-site training allows for the customization of material to include your own processes and procedures, as well as workshops that provide hands-on practice. Implementation Assistance – Let us help you through the process by sharing the workload of updating and implementing your QMS. From full project management to assisting with key activities as a subject matter expert, our level of support can be adapted to fit your needs. The BRC offers courses to guide you through understanding, transitioning and implementing the new IATF 16949:2016 standard. Dates and locations coming soon. Join our mailing list to be notified of training in your area. 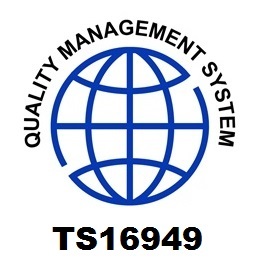 I would like to receive the Quality Review newsletter and the latest industry news and information. Check this box to receive our monthly newsletter full of articles, as well as news and resources supporting the quality management industry.